As part of our ongoing series of reviews of classic caving books, Alan Jeffreys looks at the groundbreaking Pennine Underground. With the plethora of UK caving guides at present available, it is easy to see a pattern of presentation common to all which is now taken for granted. What is not generally appreciated, however, is that this layout was created by one man, who set in place an enduring system for cave guides that was completely lacking prior to the publication of Pennine Underground. Norman Thornber was a well-known figure in the Yorkshire Dales before and immediately after the Second World War. 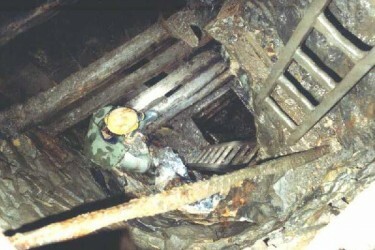 He was a broadcaster and writer who was heavily involved with cave exploration and rescue, the latter pursuit leading him to maintain a card index of cave information to assist with potential underground incidents. The sudden growth of potholing just after the war, coupled with an easing of transport difficulties, engendered a swathe of problems: avoidable accidents, unwarranted digging and casual or deliberate vandalism. 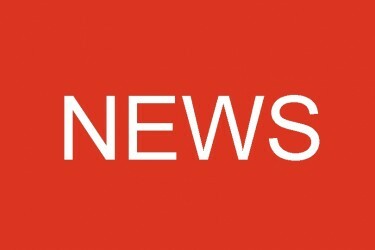 All this was, possibly unfairly, attributed by Eli Simpson (one of the illuminati of the time) to the publication of Pennine Underground, which he claimed was “… written by a free-lance, part time journalist [who] never qualified as a cave explorer in the true sense of the word …. Many [parties] are composed purely of irresponsible teenage youths who do not give a hang what damage is done …” Simpson and Thornber evidently did not exactly see eye to eye! It is difficult to appreciate the novelty of Pennine Underground’s format now, but then it was revolutionary. 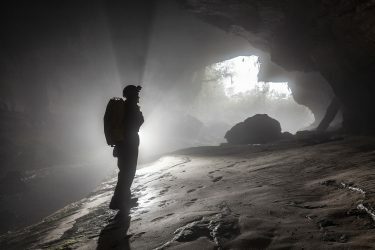 Think about it – each entry cited the cave name, its district, its severity grading, altitude, length, depth, accurate position, who first explored it, a brief account of the main route through, tackle requirements and (later) source of permission required. Not the least contribution were the 14 maps showing cave locations, expertly drawn by architect Arthur Gemmell, also setting a style that has not been improved upon. All this was contained within a pocket-sized book, 10.5 by 12.5cms. 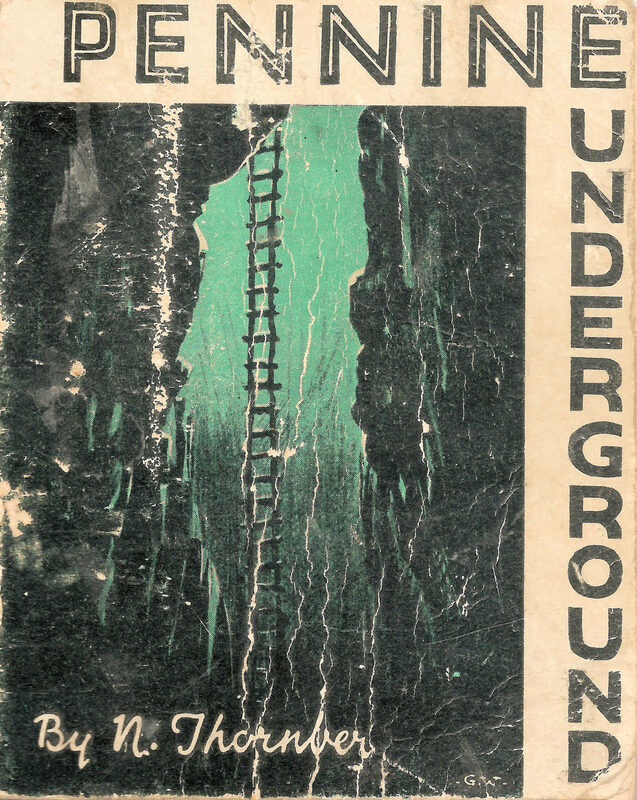 In 1947 Pennine Underground was the very first guide of this nature, and proved so popular that in 1953 Thornber ambitiously attempted to edit a UK-wide version,‘Britain Underground. With the best will in the world this could not possibly work as efficiently, but stimulated the compilation of other regional guides, commencing with Mendip in 1957. ‘PU’, as it became known, continued through two further editions in 1959 and 1965, before being supplanted by the Northern Caves series, but the charm and novelty of the 1947 edition remains a fascinating window into the development of potholing in the modern era. Although not as succinctly put as: “This book is for the guidance of the wise, not the obedience of fools” it nevertheless reproduced a caving code and warnings of the dangers to be overcome which imbued it with responsibility despite Simpson’s vituperative observations. In its very originality it is surely a classic.